Newborn Ruonan arrived at the Kaifeng SWI on a cold winter’s day. She was tiny, had a lower limb deformity, and her cries were weak. But because the orphanage was short staffed, all her well-meaning and overworked caregivers could do was lie her down in a crib, watch over her, and feed and bathe her. 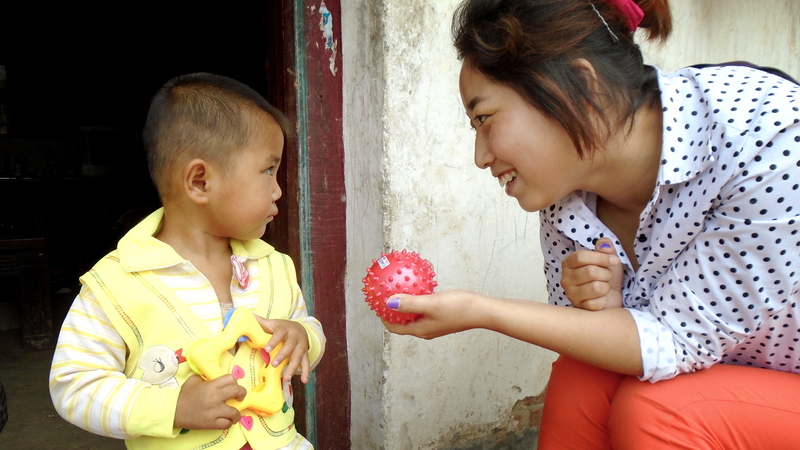 When Half the Sky’s team arrived in Kaifeng in August 2014, to launch Seed Center training, they spotted Ruonan immediately. 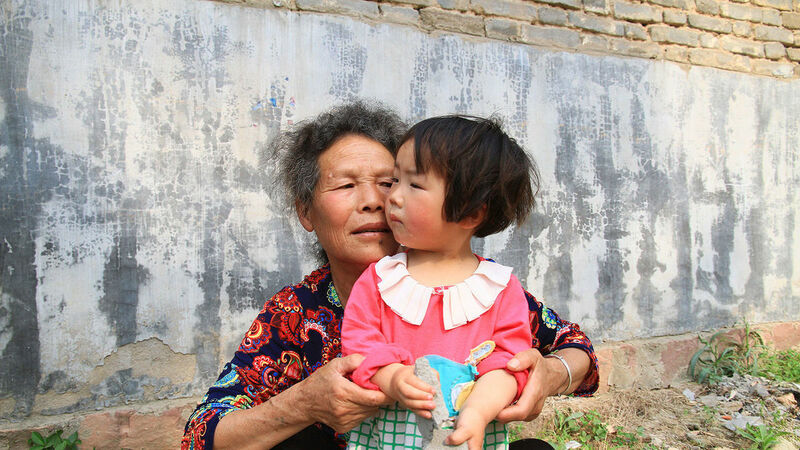 Though she was two and a half years old, she had stiff limbs and could not hold objects in her hands. She cried when she saw strangers and did not respond to her name. 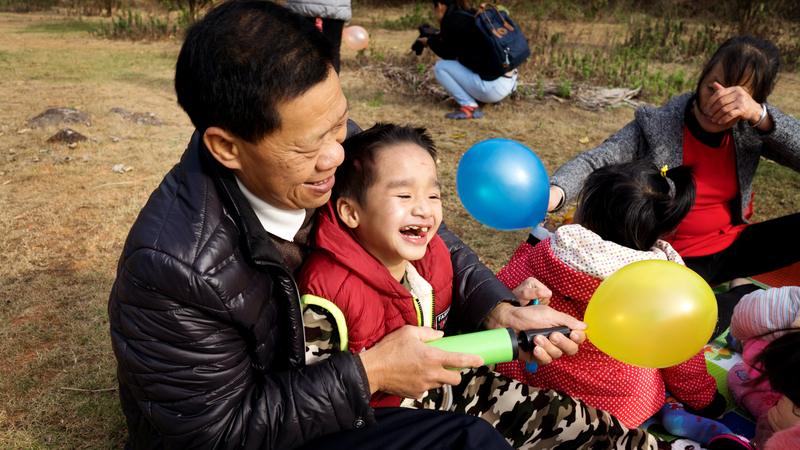 Our team trained Ruonan’s nanny very carefully, encouragingen her to pay closer attention to Ruonan’s needs, to take her to the activity room and talk to her face-to-face every day, and to give her a bell she could practice holding and ringing to help exercise her hands. They also showed her how to massage Ruonan’s lower limbs and encourage her to try standing. One month later, a miracle had taken place. Ruonan could hold the bell and loved banging it on the floor mats to make it ring. She even raised her head to look at people around her. Four months later, we learned that Ruonan can play a harmonica and stand and sway her body to the rhythm. She is even learning to interact with others though not always generously. For example, when a little girl came over and wanted to play with the harmonica, Ruonan hid it behind her back. Her nanny laughed! But the best news we learned recently is that Ruonan has been matched with a foster family. 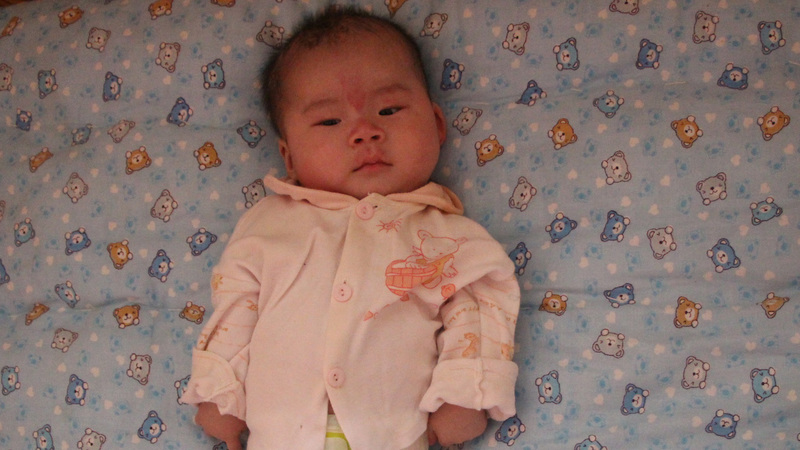 Little Ruonan will soon have parents of her very own, so she can continue to make progress. We are happy that Ruonan is now receiving the care she deserves.